I’ve been trying to think of a “good way” to describe my recent listen, SUMMER AT SEA. “Freaking awesome” keeps coming to mind. I don’t know how Beth does it, but she captured me in the first chapter and made it difficult to want to be working instead of focusing on listening to said freaking awesome story. I usually don’t get a chance to listen to my audio books at home because I’m working and can’t focus on the story, but I did this time. I couldn’t wait until the next morning commute to listen more. Rumor has it (and by “rumor”, I mean Beth’s website) that a sequel to Summer at Sea is in the works! I’ll be dropping everything to read on release day!! Note: If you’re not a fan of “strong language”, you’re forewarned now. It’s not terrible in my opinion. But I generally speak the same way, so it was like listening to a friend talk. 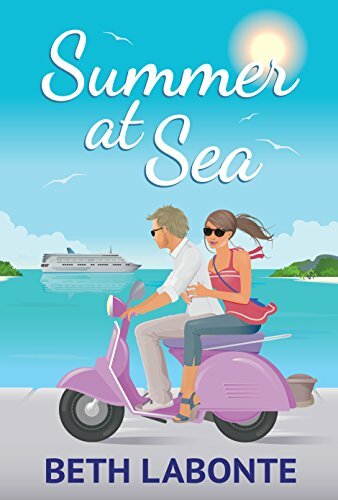 Second note: I interviewed Beth this week and she spoke a bit about Summer at Sea. Swing over and see what she had to say!